Guess which anime has topped the MyAnimelist charts in just a short few months? 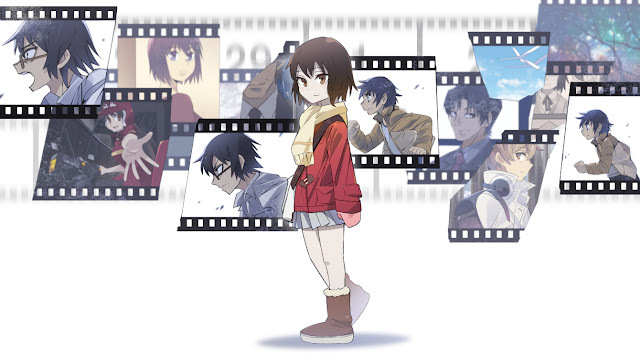 "Boku Dake Ga Inai Machi" - The Town Where Only I Am Missing, or simply "ERASED" as the English adaptation title, is a story about Fujinuma Satoru, a young 20-something manga author who has a mysterious ability called "Revival" - returning a few moments in time before a tragedy in order to prevent its eminent occurrence. Without revealing too much, a major catastrophe causes Satoru to use Revival to the point where he is sent back 18 years in time to prevent a tragedy deeply rooted in his childhood. The concept in all honesty is not far from being cliche, at least in the world of anime. 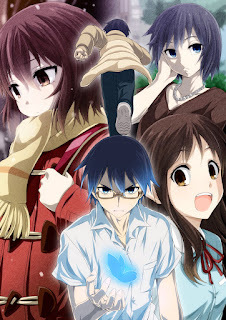 It is not the supernatural or over-the-top powers known to many anime which made ERASED an instant fan favorite. It is the nature of each episode, strongly intertwined and the tension / hype tools used to pull the viewer in that have made this show so popular. Time to take a short departure from reviewing like an Otaku, and putting on my "Westerner" hat. Who here hasn't seen "Breaking Bad", "Lost" or "How to Get Away with Murder" - or any other popular "Serial dramas" that have pervaded American society of late? The premise of these shows is deeply based in reality, but a strong character takes a twist in his normal fate and becomes something more than they are - someone who drives their storyline, a thread in a multi-threaded theatrical puppet show, where everyone else's plots weave into their in a very strategic way to further the main story. ERASED functions in much the same way: it is highly character driven but to the point where these characters drive their own plotlines with their actions. One small example we can take is of Katagiri Airi - the part timer who works with Satoru. 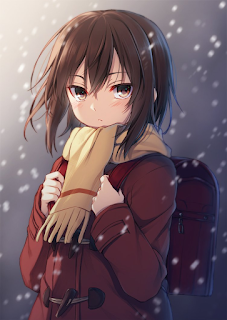 She is unassuming until they delve into her backstory, and she forces herself into Satoru's life and helps him out. The same goes for Kenya, Hiromi, Jun, and Kayo - they lead organically disparate lives but their plots weave with Satoru's. Another success formula that ERASED uses is the heavy plot twists and cliffhangers. You may think "All anime series' have cliff hangers at each episode," but ERASED uses them in a 12 episode series - and in a way which is deliberately used to increase tension instead of just make you happy / excited. Ring any bells? American Serial Dramas use the same tools. Amazingly, your fear of Walter White's last decision in BB is the same as Satoru's desperation in protecting his friends. It's not the same as the 800 episodes of Case Closed that do next to nothing to bring the viewer back into the story for the next episode. What would the face of anime be like if all new anime focused on episode-by-episode crescendos, story tension used as a cliffhanger-y element, and crime-drama style character development? Would anime mirror Western Netflix binge-able serials or AMC's next big psychological drama?